About a bazillion years ago as we cats tell time, our mom abandoned us for a weekend with other cat bloggers at an event known as the 20th Annual Cat Writers' Association Conference. 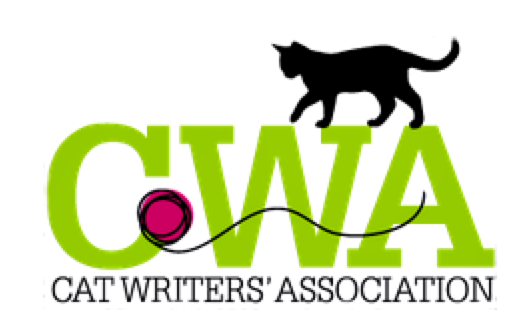 She was invited to attend the CWA event both for the award ceremony and for three days' worth of conference sessions on writing, photography tips and such. Her roomie at the event was none other than Glogirly, the designer of the Association's new logo (cool, huh?). She had a ton of fun hanging out with other celebs such as the author of the very entertaining Whiskerslist: The Kitty Classifieds and Sparkle's very talented human, who also is an author and publisher. Glogirly presented a very informative session packed with practical photography tips for the newbie and the seasoned shutterbug. 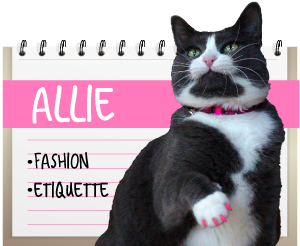 And Sparkle's human gave a great talk about how to monetize your blog. A fun time was had by all, except for us poor deprived latchkey kitties back home. But we digress. Our mom did eventually remember she had three feline dependents, ended her wild gallavanting, and returned home. With swag in tow. Lots of swag. The first one is open to all U.S. residents. 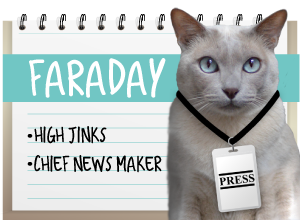 It consists of two - count'em two - bags of nomilicious treats, plus catnip and mousie toys! The second giveaway is open only to residents outside the U.S. and it consists of a classical music CD mixed in such a way as to employ sonic anchoring - bioacoustic principles meant to provide a calming effect in stressful situations. Also included are two collars: a festive holiday one plus a kitten-sized one you can share with your favorite shelter, if you'd like. Also included is a package of nip nibblers! If you're interested in grabbing this loot for yourself, just tell us in a comment below which giveaway you're eligible to win, and be sure we have a way to contact you via email. The giveaways are open until next Friday, December 6 at noon. The winners will be announced on Saturday, December 7. If a reply email containing the physical address where the prize should be mailed is not received by that time, an alternate winner will be chosen again by random. The winner will be announced in a separate post following the drawing. We were given these samples by the gracious sponsors of the Cat Writers' Conference, and were not compensated in any other way, nor were we asked to do a review or giveaway. All opinions in this article are our own. Cool! We'd love to win that swag. We'd like to hit the USA one! No worries re us but have a super Saturday. Woot Woot! I'd love to win your USA loot package.....what self-respecting cat doesn't like surprises after all??!!! Thanks guys....cool giveaways AND it's nice there's one for non-US peeps too! 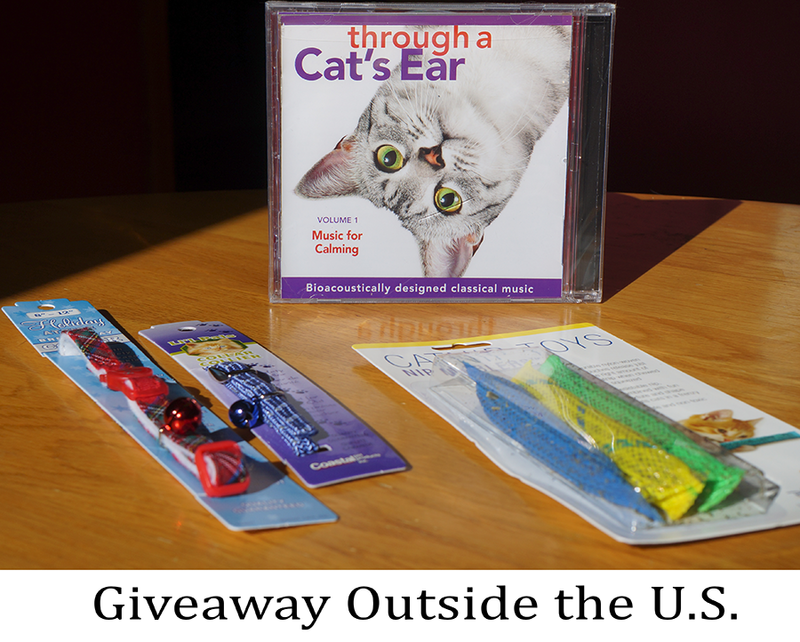 Great giveaway -- we are in the USA!! You do not have to enter us, since my human and I just got done with our big giveaway! We actually kept a couple of the things in your giveaway - we wanted to try out the honeysuckle toys and the nip nibblers. What a fun giveaway! We'll enter the one for US cats, because that's where we live! Well, we are SURE innerested in some of those USA cat treats! None of them look famiiar. 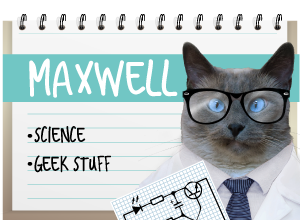 Pawsome giveaway!!! Of course we have to let the other kitties have their chance since we got the same loot. 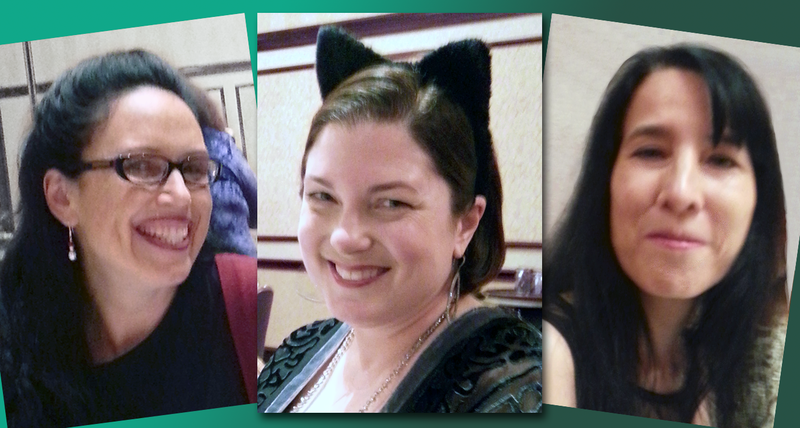 ...hey, you overseas kitties! those Nip Nibblers are AMAZING!!!!!!!!!!!!!!! Count us in for USA giveaway. 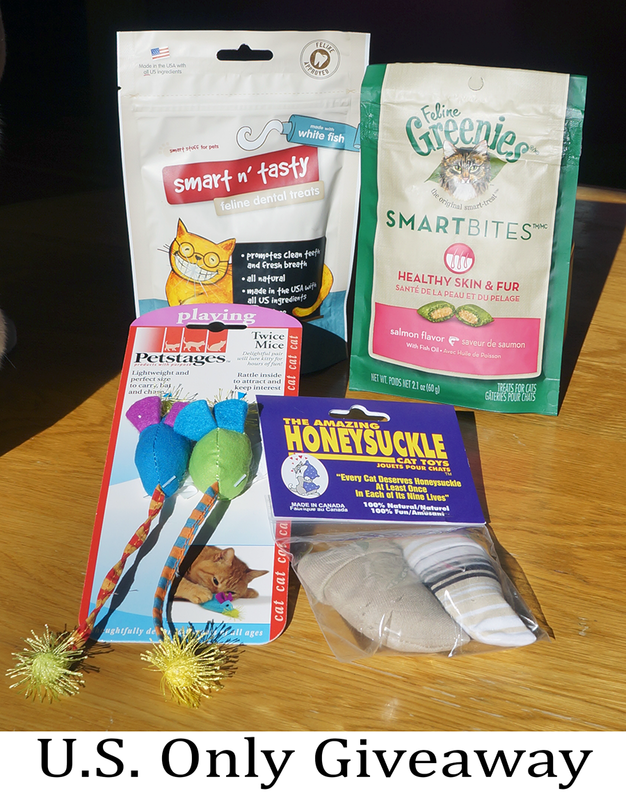 We've never tried honeysuckle toys before but have heard they're pawsome! I’d LOVE to enter the US giveaway even though I’m a kitteh of the world. I love Greenies SmartBites. We would love, love, love to win the US swag! Oooh... Another fantabulous giveaway. I'm from outside the US. Hey! We know all those people too! :) Could you enter us in the US giveaway? Thanks! Out of US! Us dogs have to support the Asian Whisppy momma! I hope we get qualified. Please please please let us join.